Stable site operation during unexpected traffic leaps and spikes. Account isolation technology to keep customers protected. By the way, the platform was the first among other hosting services to introduce this technology. Website monitoring every 0.5 seconds. 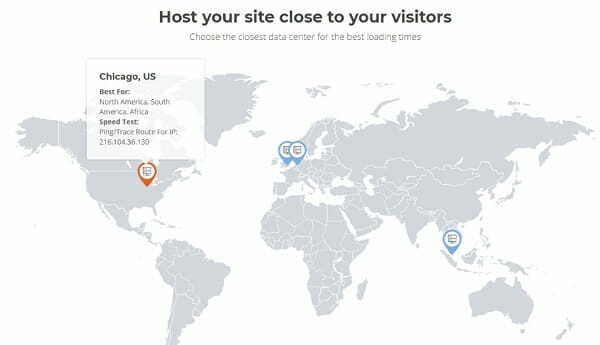 SiteGround boasts a proactive tracking technology that keeps an eye on servers and checks them every half-second. For this reason, fast uptime is among the key platform’s advantages. You can look up some extra security means in the list of free security add-ons. Users can additionally rely on tutorials to get started in addition to a huge selection of articles that form the platform’s knowledge base. It seems like you will hardly face problems when finding a solution to any problem. SiteGround offers three major plans. The platform does not have a free trial. However, it offers a 30-day money back guarantee in case you decide to switch the web hosting. However, you still need to pay first. Otherwise, you will not get access to available features. StartUp Plan costing $3.95 per month with 10GB of storage space + essential features. GrowBig Plan costing $6.45 per month with 20GB of storage space + essential and premium features. GoGeek Plan costing $11.95 per month + essential, premium and advanced features. Entry Plan costing $64.00 per month for 2 CPU cores with 40GB SDD space. Business plan costing $96.00 per month for 3 CPU cores with 60GB SDD space. Business Plus plan costing $128.00 per month for 4 CPU cores with 80GB SDD space. Users can register domain names as well. The price starts from $9.95 for a domain. 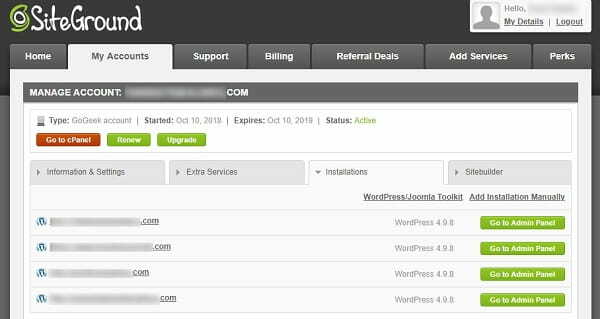 Please, not that SiteGround does not provide month-to-month hosting solutions. You need to pay for one year in advance. Otherwise, the price will go higher. SiteGround can be a good option for those who get started with their website or seek opportunities to grow the web representation. The platform boasts a wide range of features. Some of them are not new though its focus on major CMS can be a good plus in favor of the service. It generally has everything you might need from good security means to an extended support team and modern technologies that ensure good uptime and fast website speed. On the other hand, you might want more freedom when it comes to storage space as well as some more affordable server opportunities.